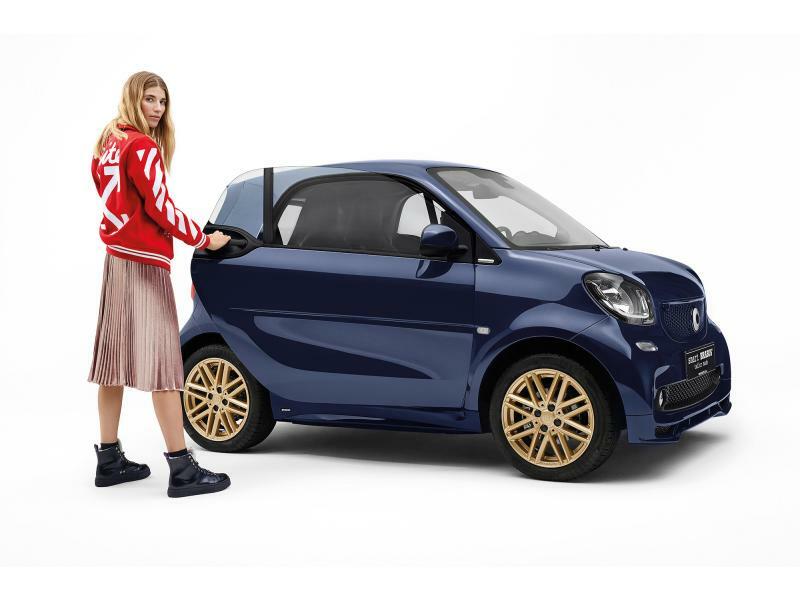 Collaboration between smart and renowned stylist Veronika Heilbrunner demonstrates the endless possibilities that the smart BRABUS tailor made programme offers customers when it comes to individualisation. Everyone can create their own personal smart. The two-seater styled by Veronika was on show at Berlin’s Appel Design Gallery in January. The exterior velvet blue paintwork with coordinating ‘royal gold’ rims makes the sporty smart sparkle in the sunlight. Both colours have been added to the latest tailor made programme colour catalogue. The interior is dominated by black leather. A contrasting, tailor-made ruby red glass cap gleams on the gear knob. And the head restraint on the driver’s seat is embroidered with the stylist’s initials.